You Tube put a copyright notice on it and it was banned in some countries. on what I was doing. A lot of times we see all these amazing cakes that are posted on the internet. Some of them look very complicated and time consuming. Cakes like that do happen but mostly for show, cake competitions and that special client who is willing to pay for “amazing”.Your typical client wants that kind of cake but their budget in reality only allows for something more basic. Most of the time they end up with a simpler cake than they originally fantasized. They don’t realize the time that goes behind these amazing cakes and TV makes them seem easily achieved in an hour or so, when there’s really a whole day of work and days of preparation before that one hour show. can be made fast and charged well. In reality a big percentage of the population can’t pay for them. in comparison to anything more complicated. The true art of cake lies behind fast cakes made with quality. This is important especially when it comes to wedding cakes. 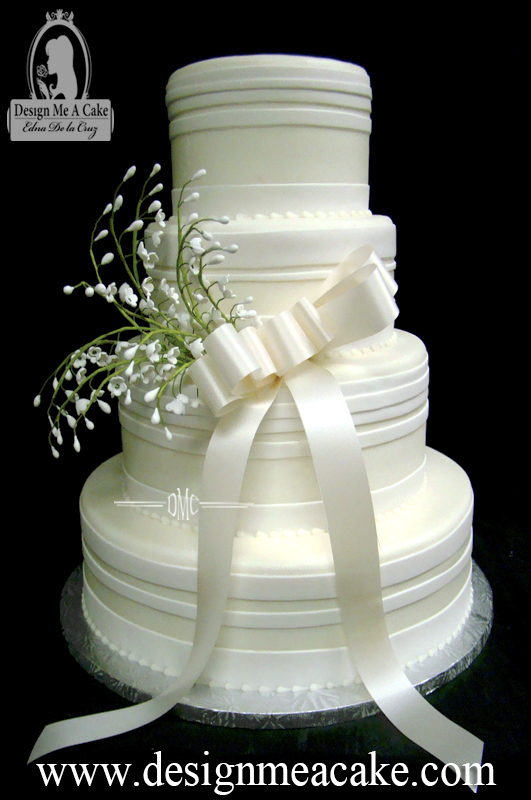 A simple white wedding cake will stand out just because of its clean lines and smoothness. This in itself is hard to achieve but not impossible and it can be done fast as well. Practice does make perfect. I use this stacking method to move quickly and it works. 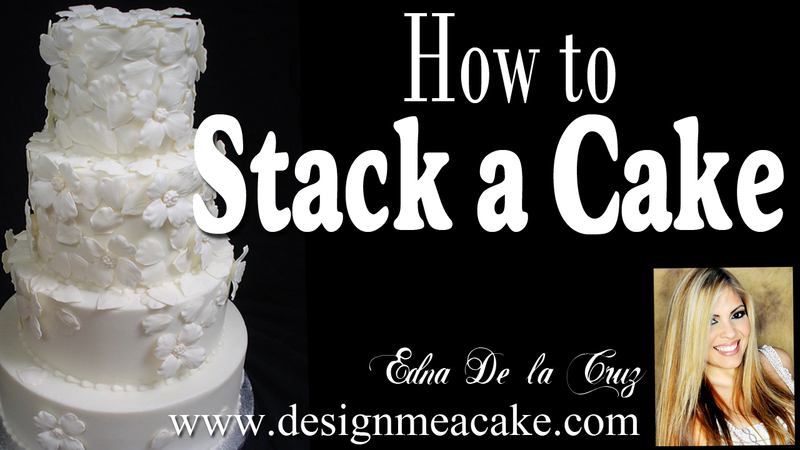 There will be many opinions, ideas, and choices on how to stack cakes. Some people prefer to use other systems and they can be great, but there’s an extra cost for those. That cost you can always pass on to your clients. stacking method. I have posted links to the website where you can get the cardboard dowels since I don’t sell those myself. Here is a link to the page. Keep in mind that this tutorial is for your basic 4-tier cake or smaller. 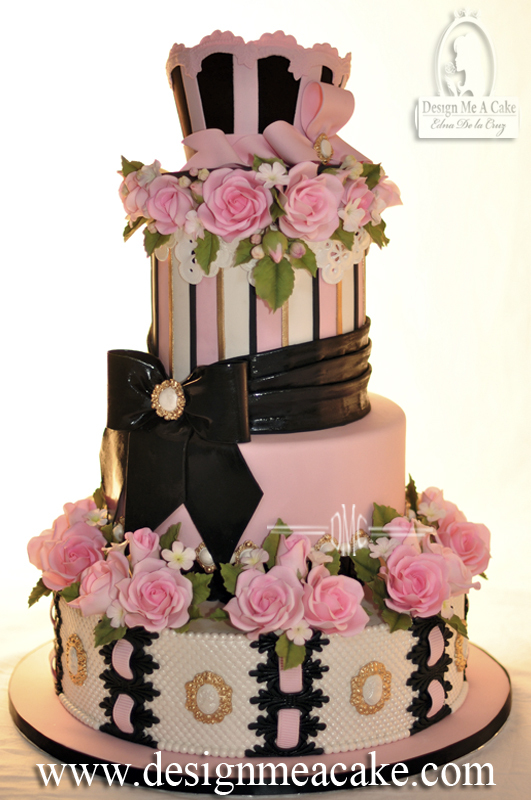 Cakes that are taller or are sculpted, require stronger base structures. 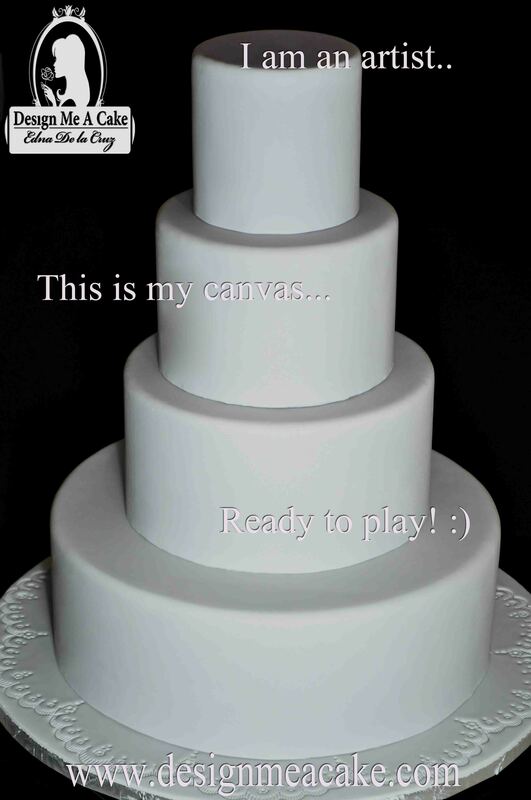 I have many friends that dedicate their lives to do sculpted cakes because they have a passion for it. Sculpted cakes do take more time and the cost of making them are a lot higher. Make sure to charge accordingly to the type and level of work of the cake you have created. Click on the photo to go and watch Tutorial! Hope you enjoy this Blog, until next time, ta ta!